Take a wonton wrapper and lay it on a flat, clean surface or cutting board. Add about a tablespoon of filling to the middle of the wonton wrapper. 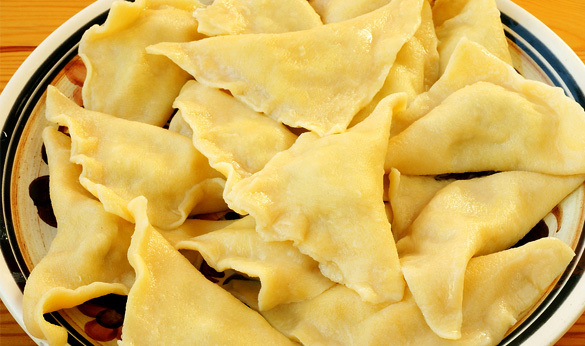 Moisten the edges of the wonton wrapper and fold the wonton diagonally in half (so it looks like a triangle). Press the edges together to seal the wonton ravioli. Repeat for all ravioli. Bring a pot of water to boil. Gently add the ravioli to the water, one at a time. Cook until the wonton becomes transparent, about 3-4 minutes. Serve immediately with pasta sauce of your choice.